I would guess my family isn’t the only one that recognizes the importance of eating greens. How many families-and women in particular-have spent much of their lives choking down a glass of green grit every morning that tastes like it was just scooped out of the ocean? You know what I’m talking about-that green stuff made from barley. Or, as my father calls it, barf-ley. The health benefits may be great, but it even used to embarrass me when my 3-year-old sister had to count “1-2-3” to get Mommy to chug it each morning. So I say, “Why not have a green supplement with all the same benefits-if not some even better-in a drink that’s palatable?” Well, Beeyoutiful’s chlorophyll is just that. But exactly what is so marvelous about chlorophyll? Chlorophyll is every green plant’s blood. What’s so amazing is that it is remarkably similar to our own blood. The difference is actually only one metallic molecule. The central element in chlorophyll is magnesium while the core element in our blood is iron. And this differing component, magnesium, is one our bodies can easily convert to iron. Chlorophyll such as Beeyoutiful’s is usually extracted from alfalfa, which has more vitamins and minerals than most any other plant. Alfalfa’s chlorophyll level is also one of the highest. Not only are you getting the chlorophyll but also a lot of calcium and trace minerals necessary for good health. Chlorophyll helps a variety of conditions such as anemia, low energy, hypoglycemia, digestive disorders, and cleansing the body of toxins (especially the liver). It deodorizes the body naturally by stopping the growth of harmful bacteria, boosting the immune system, and promoting overall wellbeing. As if that isn’t enough, chlorophyll is rich in calcium, which makes it great for menstruating women, since we lose so much calcium through menstruation. The high calcium levels also make it good for joint and bone problems, and especially hip joint conditions. Taking chlorophyll can be fun, not something you have to endure. You can mix a few drops with water to make a natural fruit and veggie wash. It’s so gentle at cleansing the system that it is good for people and children of all ages and is considered safe during pregnancy. In my midwifery practice, I recommend chlorophyll for pregnant moms who are really tired and have low iron level. Sometimes if the hemoglobin is particularly low, I have them combine chlorophyll with Yellow Dock and a tea of Red Raspberry and Nettle to really give them a boost (in some cases, Yellow Dock causes diarrhea, so if that appens, I stick with just the chlorophyll). Chlorophyll is high in vitamin K, which helps build healthy blood that clots well. A benefit of using natural things like herbs and chlorophyll is that our bodies can so readily assimilate the nutrients they need. Traditional iron pills, by contrast, are horrible for not absorbing and cause all kinds of problems. But when you’re taking whole herbs-the way God created them-your body can assimilate what it needs and excrete the excess. The pleasant mint flavor of Beeyoutiful’s chlorophyll makes it easy to take straight or in a glass of water. I’ve never known anyone to mind the taste. It’s great to have on hand during labor to sip on to help boost energy. If a woman hemorrhages after delivery, chlorophyll is usually the first thing I give her to rebuild red blood cells and her overall blood volume. You can’t overdose on it, and when someone has bled a lot, chlorophyll is like giving your body a transfusion since it’s so similar to our own blood. In addition to being good for rebuilding blood loss, chlorophyll is also great for lactating mothers. Not only should it help with the milk production, it is also believed to increase the iron levels in breast milk. I recently saw a mom for a six week post-natal checkup, and she mentioned that, since she went back on chlorophyll, she had noticed her baby wasn’t so fussy. A lot of you who have had colicky babies would give it a try for that reason alone! I put one mother on chlorophyll while pregnant with her sixth baby because her iron level was low. It brought her count up to a much better level and also boosted her energy. She stopped taking it after her son was born, but it wasn’t long before she came to me saying how exhausted she was. I checked her hemoglobin again, and sure enough, it was low. I told her to go back on the chlorophyll and just stay on it. To her surprise, she conceived again when her baby was only eight months old and could hardly believe she was pregnant this time around because she has felt so good. She didn’t experience the usual nausea, nor was she as wiped out. Now I hear her singing the praises of chlorophyll to other tired, anemic, pregnant women. One thing that was pointed out to me recently is that another popular chlorophyll supplement-which I used before discovering Beeyoutiful’s-contains the chemical preservative, paraben. 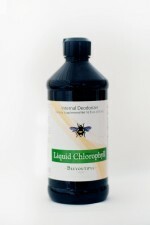 Beeyoutiful’s all-natural chlorophyll, as you might guess, doesn’t have it. Although for obvious reasons, I tend to focus on the benefits of chlorophyll for pregnant women, its healthfulness is good for everyone. I believe chlorophyll should be in all refrigerators. It has no known side effects or toxicity levels, delivers many great nutrients, and offers a pleasing taste and more health benefits than that glass of barf-ley. 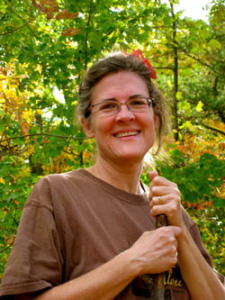 Amy Leiter is a professional midwife who provides home birthing services as a donation-based ministry. 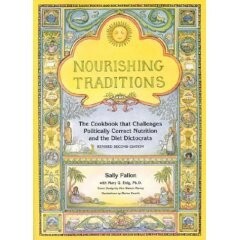 An herbalist, she actively incorporates the latest research in natural prenatal products into her practice. Amy lives with her parents and six brothers and sisters in Tennessee. She welcomes email at dsleiter1@juno.com. By Kelsey Hoppman Dry skin is a common problem all over the United States throughout the year, especially in the winter months. Where I live, there is little to no humidity and dry skin is prevalent. That is why it is very important that I have something that will soothe and heal my dry skin. I began my quest for a product that would do just that. The “lotions” that you buy in stores, are made up of chemicals such as: Methylparaben, Blue1, Yellow5, Propylparaben… I could go on, but you get the picture. Somehow, putting chemicals on my skin did not sound indulging. Also, I know that though, at the moment, it might feel good, it was harmful to my health. Sometimes people think that using products topically will not be hazardous to their health, or skin. In fact our skin is the largest organ of our body, so, whatever is applied will be absorbed into our system. That is why I decided to create a lotion bar made from natural ingredients. The result was the Vanilla Dream Lotion Bar. Each ingredient in this bar has a specific purpose and benefit. The grape seed oil inside the bar is a preferred cosmetic ingredient for damaged and stressed tissues. The Beeswax is non comedogenic as well as the fact that it provides a moisture barrier against harsh elements. Beeswax is also smoothing and moisturizing and among other things, it can be used as an antibiotic or antiseptic.Evening primrose oil comes from a wild flower that grows throughout North America, Europe and Asia. The flowers contain a certain fatty acid which has remarkable healing properties and has also been shown to ease inflammation. 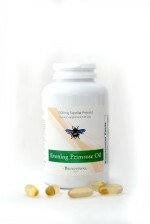 Evening Primrose Oil has been used to treat common skin conditions such as: acne, rosacea, and eczema. The benefits are not just for skin, but for women’s health as well. Vitamin E has many known benefits and works as a natural preservative. Cocoa Butter, or sometimes called Cacao Butter, has been called the “ultimate moisturizer” and used to keep skin soft and supple for centuries. It is recommended for eczema and dermatitis. Cocoa Butter also creates a barrier between sensitive skin and the environment and it helps retain moisture, just as beeswax does. 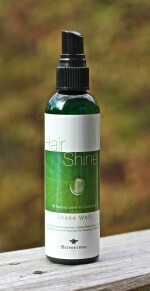 By-the-way, it is also very helpful in preventing stretch marks in pregnancy. Finally, the Vanilla Essential Oil, or Vanilla Plantifolia has a soothing effect and stabilizes emotions. The really great thing about the lotion bar though, is that it is not just for dry skin. It can be used at any time and in any way. It also is very portable. Try the Vanilla Dream Lotion Bar out for yourself! You’ll be surprised at the smooth feel and your body will thank you over and over. Kelsey Hoppman is a home schooled fourteen year old and eldest of eight. At the age of eleven she began her venture in developing bath products, beginning with soap and later on: to sugar scrubs, lotion bars, chap sticks, and so forth. She is currently living in New Mexico and hopes to broaden her bath and spa line as soon as she finishes her schooling.